(Reuters) - Cloud storage company Dropbox Inc's initial public offering was oversubscribed, two people familiar with the matter said on Monday, indicating healthy demand for the first big tech IPO this year even as tech stocks opened the week on sour note. "It is early to predict the pricing. But what I can say is that from the conversations it seems the market is interested in it and IPO seems to be bright," a separate source told Reuters. The three sources asked not to be named as the IPO pricing process was still underway. 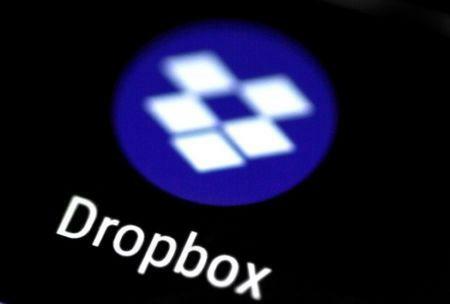 Dropbox's IPO comes in what is sizing up to be a challenging week for stocks, with the U.S. Federal Reserve set to raise interest rates on Wednesday, a day before the Dropbox deal is set to close. Tech shares also fell hard to open the week, with Nasdaq down more than 2 percent on reports of Facebook Inc's latest data privacy problems. Dropbox's IPO also comes on the heels of an upsized deal last week from cyber security firm Zscaler Inc and is being watched as a barometer of investor enthusiasm for tech unicorns - young companies valued at more than $1 billion - after Snapchat owner Snap Inc's shares cratered following a much-touted IPO a year ago. Dropbox and existing stockholders are selling 36 million shares, and the offering could be increased by 5.4 million if underwriters exercise their right to buy more stock. At the high end of the indicated pricing, it could raise nearly $650 million, making it the largest tech IPO since Snap hit the market just over a year ago. "The book is oversubscribed, with very good quality," one of the sources said. The company has 500 million users and competes with Alphabet Inc's Google, Microsoft Corp , Amazon.com Inc and has Box Inc as its main rival.